So tonight my husband suggested a Chinese takeaway and I couldn’t say no because I hate cooking over the weekend. However, we have been eating out quite a lot lately and I just didn’t want to shove another take out down my throat just for the sake of it! I instead suggested to cook Chinese meal at home. 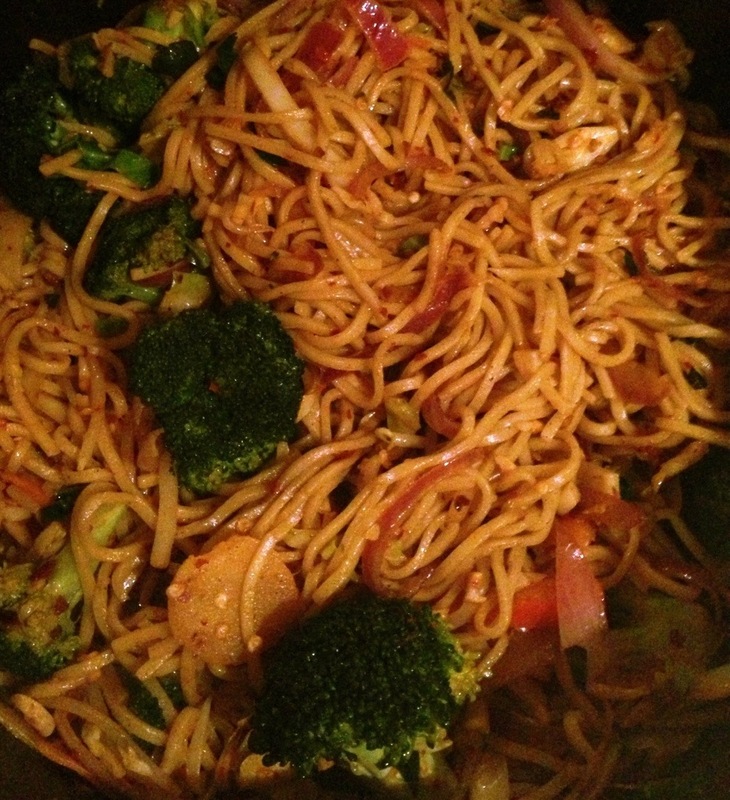 A quick vegetable stir fry noodles for dinner. My husband couldn’t be more excited to be eating home cooked food finally and he was so keen to pop down to Tesco and pick up all the necessary ingredients. Bless him. – I heated 3 table spoon of olive oil in the wok. -Once the oil was heated, I added the finely chopped green chillies, garlic, curry leaves, grated ginger and sautéed for a minute. 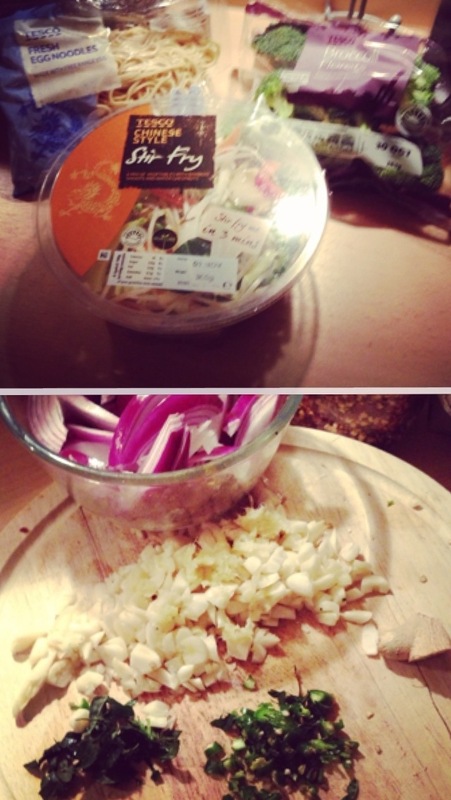 -Later, I added the stir fry vegetables, broccoli and onion and fried for a minute. Further, I added the chilli flakes, salt and fried for another 2-3 minutes. I like my vegetables to be slightly crunchy, so I try to not over fry them. -After the vegetables were nearly done, I added the egg noodles, some powdered pepper and mix the contents well for another 2-3 minutes and finally my yummy vegetable stir fry noodles was cooked. -Ginger and garlic gives a lot of flavour to any food. I use a lot of this because it does have all the health benefits and I simply love the taste. -I love my food spicy, so I tend to add quite a few chillies and chilli flakes. If I am still not satisfied with how less spicy it is, then I add some powdered pepper. It spices up the food more. -If you like your vegetables crunchy like me, then avoid frying it too much. Add all the vegetables together or you could add them in an order depending on what vegetable takes longer to cook could go in first. -I did not add soya sauce, if you wish you could add some soya sauce too. -Tofu cubes, quorn strips, mushrooms and chicken strips can also make your stir fry more interesting. now ur making me come over….. it looks very yummy!!! !